Life is a journey; astrology helps you read your map. 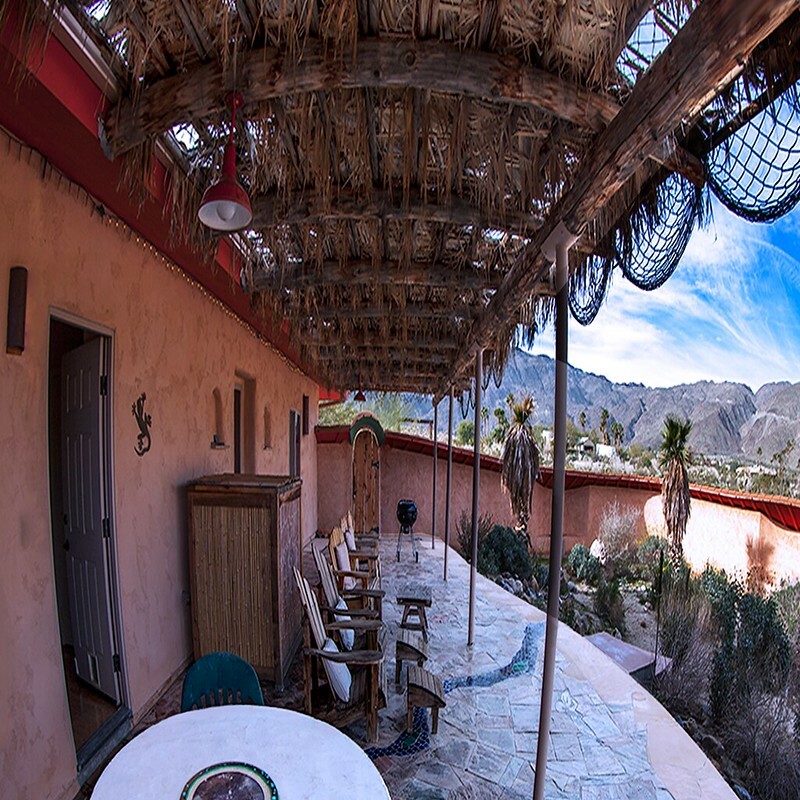 Are you ready to relax in the Borrego desert at Jodie's House Airbnb? 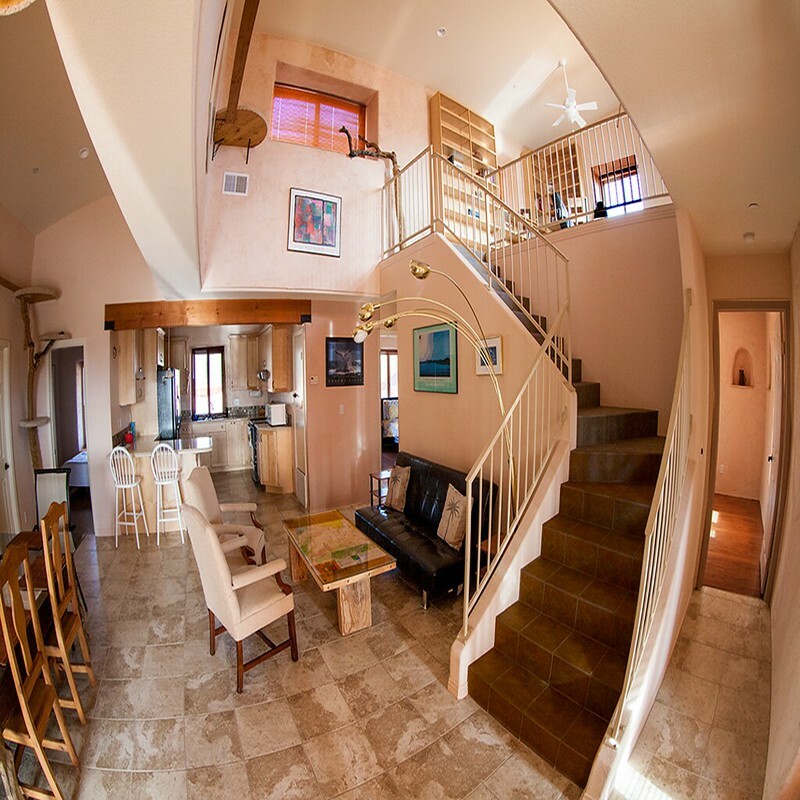 Jodie's House was the very first straw bale house permitted in southern California. The walls of this house are made with real straw bales and are three feet thick. The house was designed to keep the hot summer temperatures outside which have been known to reach 120 degrees in the shade. Maybe you're an early morning coffee person who longs to feel the sun's warmth rise upon your body. Just walk up the stairs to the loft, and beyond the door there's a chair waiting just for you to experience the sun waking to a new day that's just for you. Let the other sleep unless you choose to share the morning sun with your someone special. If it's late afternoon and you're wanting to experience that end of the day sunset, gather yourself to the loft; just beyond the door are the chairs from which to watch the shadows move across the desert as the sun sets behind you. Once the sun has said the goodbye to your day, a new friend approaches: the moonrise and the trillions of stars that await in your night. Welcome to your outside private patio where you can experience the sun falling from the sky and creating shadows upon your mountains, all from the comfort of your patio chair. Summer will bring the warm desert breeze, and the winter will bring you cool breezes. Maybe it's steaks on the grill that speak to you or a bit of takeout from one of the local restaurants. Could it be that a mimosa is calling to your afternoon and/or evening. If that's your desire, here's our suggestion: In a couple of chilled glasses, pour equal parts champagne (or other sparkling wine) and chilled citrus juice, usually orange juice. Then spend the evening adjusting the champagne to orange juice ratio. Enjoy your mimosas! Many nights Jodie has relaxed on this patio while writing her next book and looking to the stars just as you can be, too. This is why after traveling the world, Jodie decided to make Borrego Springs her home. 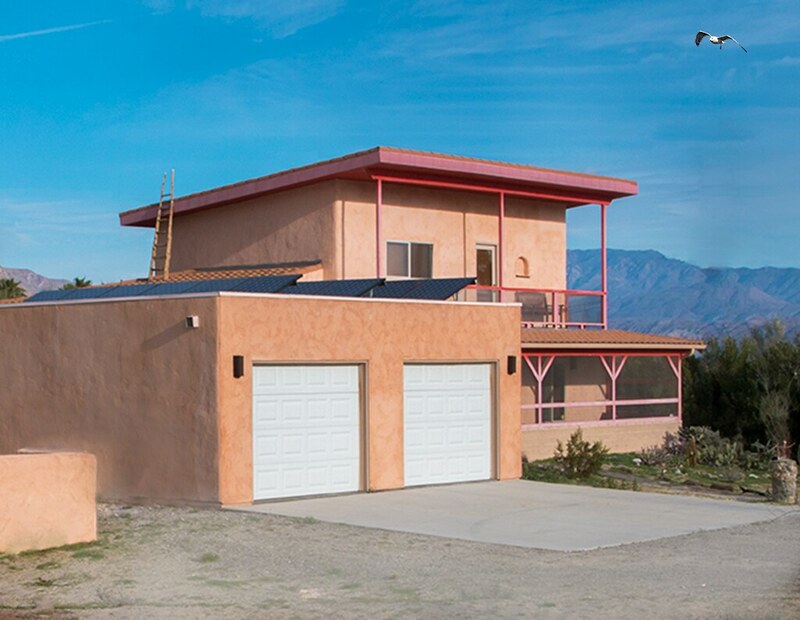 This straw bale house was built for her, and she continues to come here to enjoy her house in the peaceful desert. You can, too; just make your reservations for your stay in Borrego, CA. ● Are You Curious and Ready to Learn more? 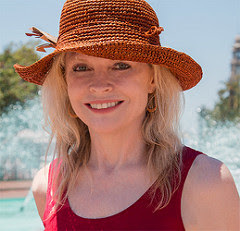 Jodie Forrest Astrology / Jodie Forrest Astrology is a participant in the Amazon Services LLC Associates Program, an affiliate advertising program designed to provide a means for sites to earn advertising fees by advertising and linking to Amazon properties including, but not limited to, amazon.com, or amazonwireless.com.